I call it Self-Portrait with Portraits. I'm standing in front of one of our pieces of public art here in Tucson--the Tucson Portrait Poject. 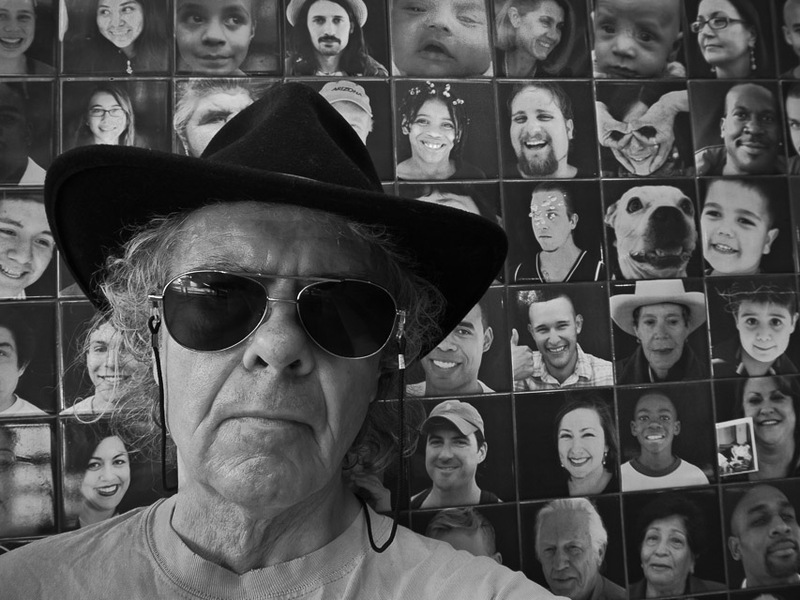 Several thousand Tucsonans (including me) plus a few of our dogs, cats, and chickens have their portraits printed on tiles mounted in the 4th. Avenue underpass not far from where I live. If you'd like to contact me, please send me an email by filling out the form below.